3Js Productions is calling for scripts for mainstream films. Language should be Tagalog/Filipino only. Story Genre is open. 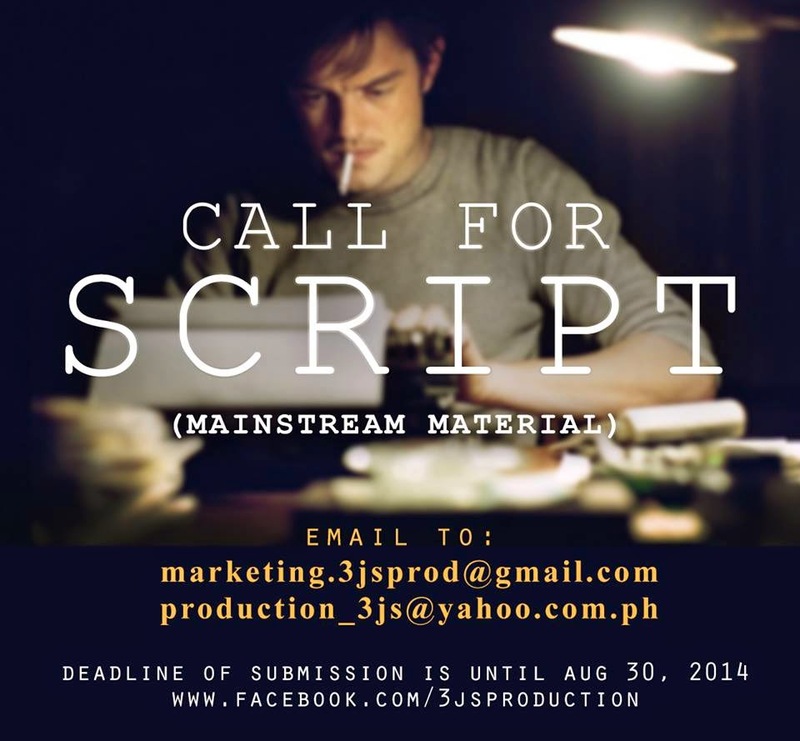 Email your stories and scripts to marketing.3jsprod@gmail.com and production_3js@yahoo.com.ph. For more info, send a PM in their Facebook Page. Deadline of submission is until August 30, 2014.